Do you love college football? Do you enjoy getting weekly insights on the game from our newsletter? 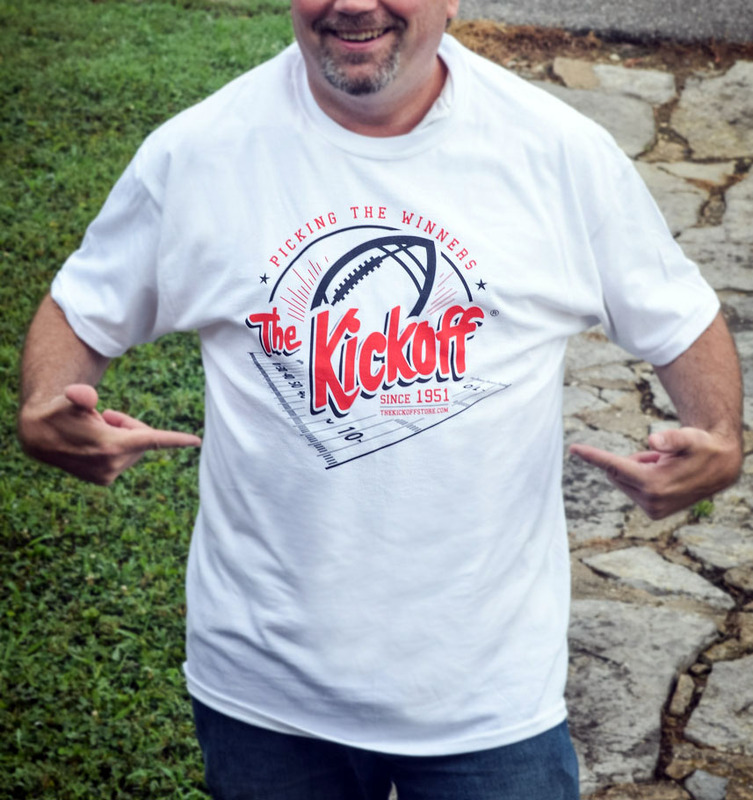 Now you can show it by wearing one of our awesome new Kickoff T-Shirts emblazoned with this cool logo we made. Stand out while tailgating or watching the game, letting friends and other fans recognize that you’re “in the know” when it comes to the game. You’re more than just a casual fan, and you’ll truly join a unique fraternity of college football fans who’ll recognize The Kickoff’s logo and branding. Available in XL at this time. Price includes shipping to locations within the mainland USA. Available in XL at this time. Price includes tax and shipping to locations within the mainland USA. Please allow 2-4 weeks for delivery as we ship several orders at the same time. Thanks!